$7.50 out of pocket or $0.75 each! When you net the $5.00 in RR you will receive it really makes it like paying $2.50 for 10 boxes! Now, I realize most people don’t have 10 of the $0.75/1 printed coupons, so not everyone will get this amazing deal. 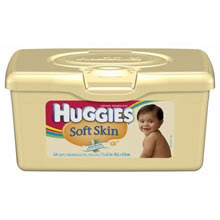 But it is a good time to use any Huggies Wipes coupons you might have to score a great deal on wipes!